They dont come much bigger than this, Glennane 2nd XI at home late on a Sunday afternoon, last match of the season. Our thanks to John Blakeney for umpiring straight after playing his match (they won!) and to Arthur, Sam, for helping out. Like the sweets, TRR Heroes played to their strengths with the team on the pitch, we kept a hold of the ball, a real sense of hold onto the ball at all costs, no wild passes, keep it simple, and boy from GK to CF every man jack us played with determination, making for an epic & tough match, both sides created chances well saved by both keepers, Ed stick saving over the cross bar, defense Ritchie, Greenie, Scott x 3, Sam, held on, were excellent with front marking, picking off/tackling/winning the ball time after time. There were several scary moments but our luck held. Down the other end, Ryan Phil, Hinds, Roly, Scott, RJ played out of their socks creating chances keeping us in the game knowing if we did concede we could and would score. Half time score 0-0, both sides playing excellent hockey, must have been great to watch this on the sidelines (eh Mr & Mrs Shirley?). This match was going to be decided on one goal, it was evenly balanced, with all to play for. With about 20 mins left on the clock Glen's threw everything at us, under intense pressure we did not buckle, clearing the danger, excellent tackles, we put everything into this and more. I think there were at least 8 short corners to defend, still no way through for the Glens, solid defense from Scottx3, Ritchie, Sam, Ed to Greenie, a wall of Blue/Brown. Plenty of injury drama's, Ritchie in the wars, first his 'free' hit an oppo player in the chest, and minutes later was himself struck on the nose, blood everywhere, but still we fought on. Thankfully the final whistle blew, it felt like it took forever for the final whistle, TRR holding on with a well deserved 1-0 win v Glenanne 2nd Xi. 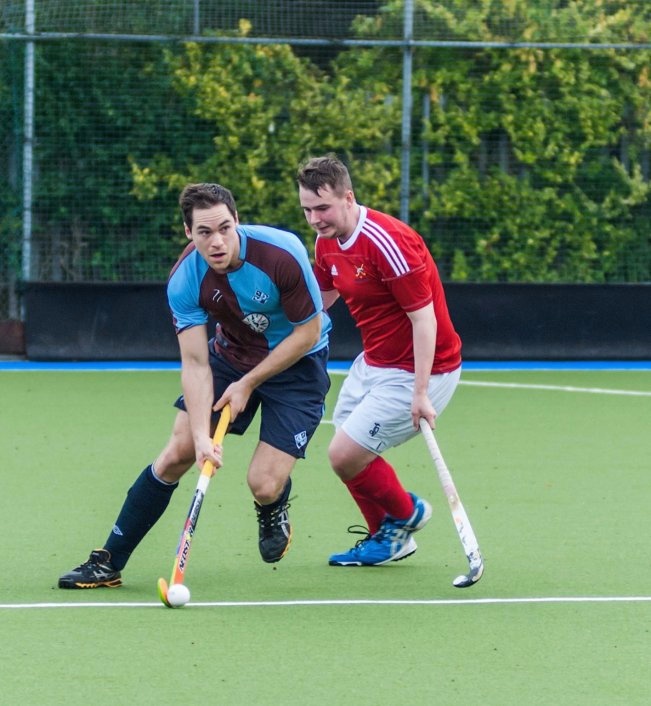 One of the Heroes commented that Glenanne was the best team we had played all season (possibly...), for me that was the most rewarding match we have played since languishing at the bottom of Div 5, 2.5 seasons ago, really really proud of all the team and the Heroes who played. Some stats for you, that was Glennane's only loss outside of Trinity all season, we have finished third in the league a commendable 2 points behind Glenanne who finished 2nd, we are the highest placed 3rd Xi in Leinster. MOM - Several stand out performances, Greenie, Scott C, Ryan, Phil, Ed, MOM in the last match of the season goes to.... ALL OF THE HEROES (and yes thats a jug each x 14). Our thanks to John B for umpiring, to Mr & Mrs Shirley for their support (we may need to grow our fan club!) all season, I dont have the stats on who has golden boot but suggest its between Ryan V Shearer? Thanks also to Findo for captaining, coaching, organising and being patient with us, and to Dylan for all his time/coaching.